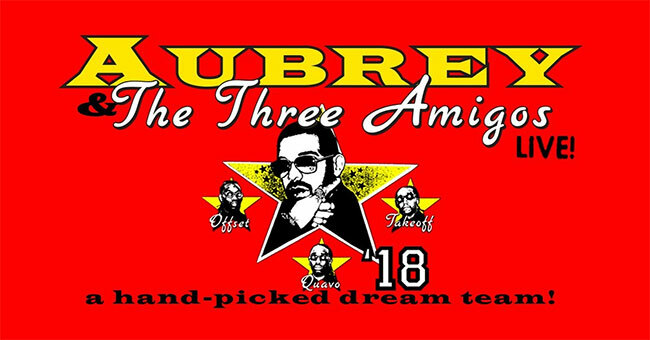 Platinum selling artist Drake is adding even more dates to his hotly anticipated Aubrey and The Three Migos Tour kicking off July 26th in Salt Lake City. The outing, featuring special guests and “Walk It Talk It” collaborators Migos, is bringing 11 more shows to cities across North America, including New York dates at Madison Square Garden and Barclays Center, Los Angeles, Montreal, Boston, Houston, and more. The full list of routing can be found below. Produced by Live Nation, Drake’s tour will launch following the release of his hit singles “God’s Plan” and “Nice For What,” and after the release of his upcoming fifth studio album, Scorpion. American Express Card Members can purchase tickets for the newly added dates before the general public beginning Tuesday, June 12th at noon local time through Thursday, June 14th at 10 pm local time. Tickets for the new dates go on sale to the general public Friday, June 15th at Ticketmaster.com starting at noon local time.